Your definitive guide to finding and investing in the best pair of hunting boots you’ll ever own. There’s no denying this fact: The Best hunting boots make up one-third of a brilliant hunter’s tale. 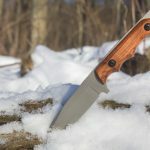 As hunters, we’re all well aware of the fact that we need a LOT of gear in order to ensure our hunts are as successful as we envision them to be. If we don’t have the gear we need to pull us through, a fun trip can turn into a treacherous experience at the drop of a hat. 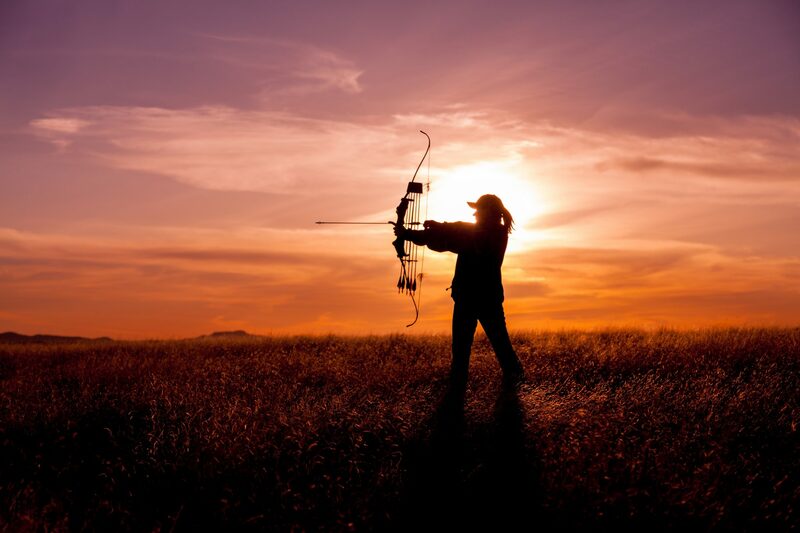 It might not seem as simple as this, but something as easily overlooked as comfort and support from your hunting boots may well be what stands between success and a total failure. But here’s the problem: We all have different preferences when it comes to our perfect hunting boot. This means that finding the good hunting boots can be a menacing task. But don’t worry, Tacxtactical.com here to help. We’ve drawn together a list of the top-quality hunting boots on the market this year, and that’s exactly what you’ll use to narrow down the hunting…ahem, playing field of what to consider. Before we get to the beef of this post, though, there are a few things you need to understand. As the name implies, the Columbia Men’s Bugaboot is a heavy duty boot that’s perfect for cold weather app lications. The Bugaboot Plus III looks great and with their excellent insulation, they’ll be able to carry you through the coldest of hunting grounds. 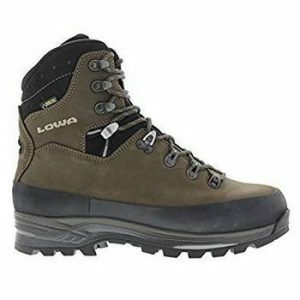 Coming in as our best trekking boot for hunting applications, the Lowa Men’s Tibet GTX is perfect for hunters that plan of trekking a lot throughout the hunting season. 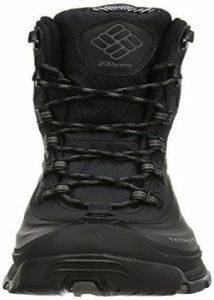 With its speed-lacing tech, padded tongue, padded collar, and GreTex lining which seamlessly ensures waterproof abilities, the GTX boots are perfect for trek-hunting. With the ability to easily carry you through damp terrain to even the roughest of environments, the Realtre e Xtra boots are super versatile, making it one of the most popular hunting boot options that the market currently has on offer. These boots have dual-texture fabrics which ensure durability and comfort. 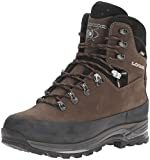 With its thick rubber sole as well as all leather caps on the heel and toe zones, these really are all-weather and all-terrain shoes. 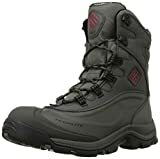 Arguably one of the most versatile rubber hunting boots out there, the LaCrosse Men’s Alphaburly Pro 18” Hunting Boot is hugely popular, and with good reason. The high-quality imported leather material is perfect for keeping your feet dry in those marshlands and the wettest parts of the woods. Irish Setter is a big brand in the game of hunting boots, and their Elk Tracker WP Insulated Boot is no exception to their high-quality rule. We reckon these are some of the most durable and rugged hunting boots that money can buy manufactured with leather uppers and a durable synthetic sole, these boots can be used in just about any environment and condition. Do You Need Tall Boots? Hunting boots and their heights vary tremendously. When you’re considering how tall your boot has to be, you’re going to be looking at the upper section, which runs from the base of the insole to the top of the boot. Don’t go all the way up to 17 inches tall with your boot if you’re a tall guy because, in the end, this might end up affecting your mobility. How Do You Want To Put Them On? The method used for putting on and taking off your hunting boots will be very important, so this is a crucial consideration to keep in mind. Some hunting boots lace up with safety systems in place, and some of them go on and off again with the utmost ease, almost like the slip-on. In most cases, however, hunting boots with laces are the most practical option and they also tend to be much more versatile. How Heavy Should Your Boots Be? Your perfect boot may be in the weight class of 20 ounces, or it may be as heavy as 5 pounds. 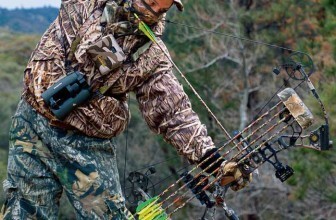 The matter of how much the best hunting boot weighs can only be answered with: it depends on. It might also not seem like a deal breaker, but not being able to drag your feet around the next bend will be. Try out a few different weight classes before you stick to one, and keep in mind that some soles of boots will collect mud making them even heavier to walk with. 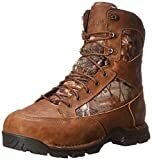 How Durable Should The Best Hunting Boots Be? Undoubtedly, hunting boots should last and last. Season after season, you want your boots carrying you through whatever terrain you throw at them. To determine whether or not a pair of hunting boots is durable, have a look at the materials they are constructed with and whether or not they feature strong outer casings. Your boots will have to be able to stand up to mud and water, that’s a given, but do keep the task you have in mind for them close to your decision-making heart as well. There’s no doubt about it: your boots will have to be insulated to protect your feet in the coldest of weather. You also have to ensure that the boots you have your eye on are able to keep your feet cool during the warmer months; this will ensure they’re suitable for all-season wear. If you plan on moving around as little as possible, purchase a pair of boots that have a thick layer of insulation fitted in them. On the other hand, a thinner layer of insulation is recommended for activities that involve a lot of walking, allowing for proper ventilation as you trek through the wilderness. Uninsulated up to 200 grams – These boots are great for frequent movers as they offer little or no insulation. 400-800 grams – These boots are the midway mark and tend to be perfect for most hunters, except for folks that brave the coldest of conditions and don’t move around a lot. 1kg + – These boots are perfect for hunters that don’t walk around a lot because they offer the thickest layers of insulation. What Do You Have in Mind for Your Hunting Boots? Upland Boots – These are also referred to as hiking boots, and they were made with comfort in mind. 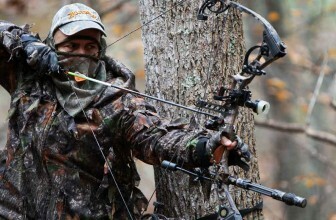 You’ll use upland boots if you plan on hiking a lot throughout your hunting trips. High Country Boots – Heavy terrains and activities are what upland high country boots were designed for. They can take you higher, steeper, and through rougher terrain. Over Boots – These are the kind of boots that are slipped over your regular hunting boots to give you extra protection and warm during the coldest of days. Rubber Boots – Key for hunting expeditions that run through swamplands, rubber boots are waterproof and will protect your feet during the wettest of times. 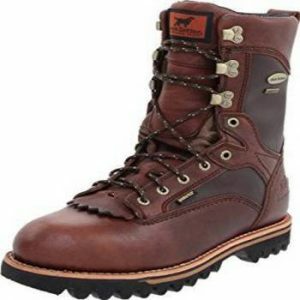 Having read through the important considerations for finding the good hunting boots, it should be clear that each and every factor we listed here can impact your final choice. 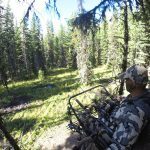 Beyond their actual fit, just how usable your hunting boots are, tends to be much more important in finding the best foot gear for your hunting game. Now it’s time we showed you what your actual options are. Take a look at our reviews of good hunting shoes for 2018. All you have to do is decide which ones to try out, and hopefully, one of these will be your perfect fit and functionality. We’ve shown you exactly what you need to keep in mind when purchasing a new pair of hunting boots, and we’ve explained why you need to test out a few different variants before making a final decision. We’ve also shown you 5 of the best hunting boots currently available on the market, and given you information on their best and worst aspects. We sincerely hope that this post has aided you in your quest for finding the perfect pair of hunting boots and that you’re now ready to take to the streets with the goal of investing in nothing but the best!